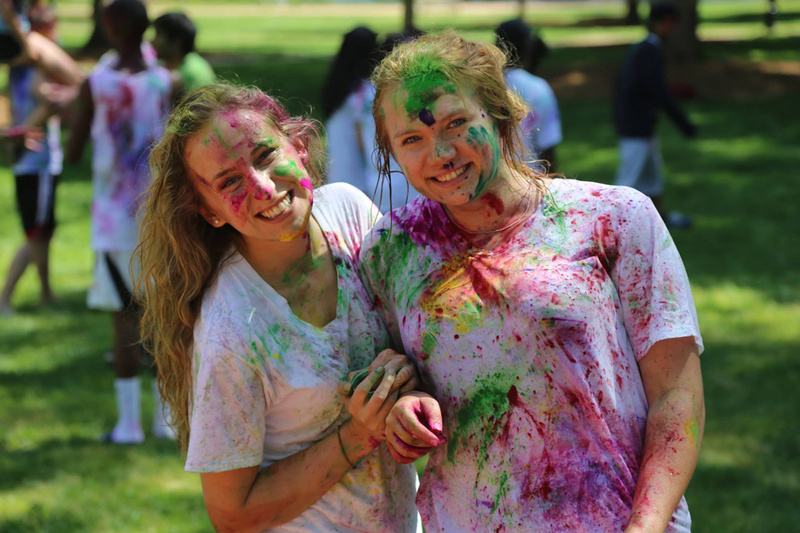 Spring Colors:Jessica Burton 15OX and Rachel Glasberg 15OX enjoy the Oxford College Hindu Student Association's annual Holi celebration. 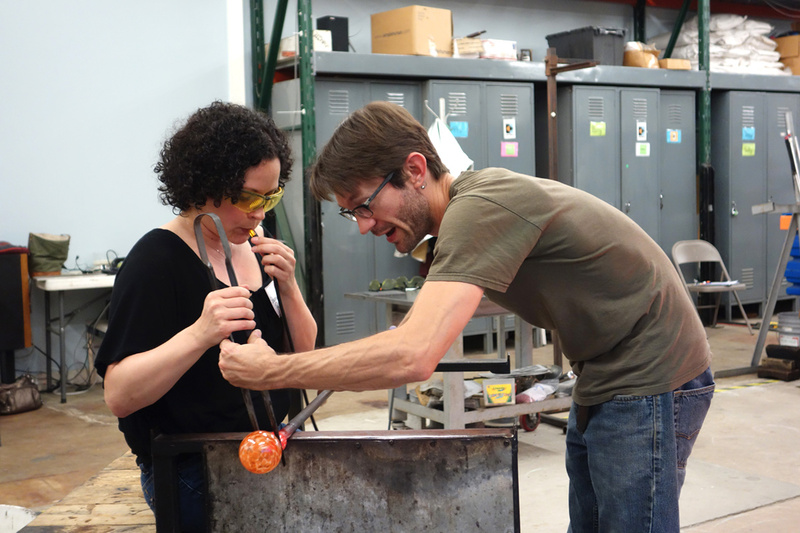 Handle with Care: Shannan Palma 12PhD works with an artisan to expand a blown glass sphere during the Emory Alumni Creative event at Atlanta Hot Glass, owned by Susan Chin 88C. 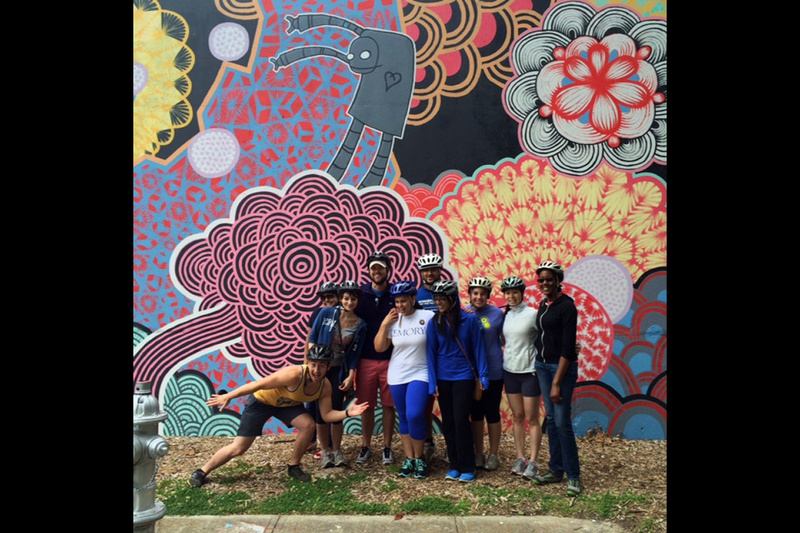 I want to ride my bicycle: Atlanta Young Alumni took a bicycle tour of Atlanta on May 17. Stopping to appreciate the murals in Cabbagetown are Mike Asch 13C (above from left), Alexa Roth 12C, Kristin Tassini 13C, Benjamin Marshall, Ami Rodrigues 11L, Chandana Papudesu 13C, Eva Giang 04C, and Amber-Lee Leslie 13C. 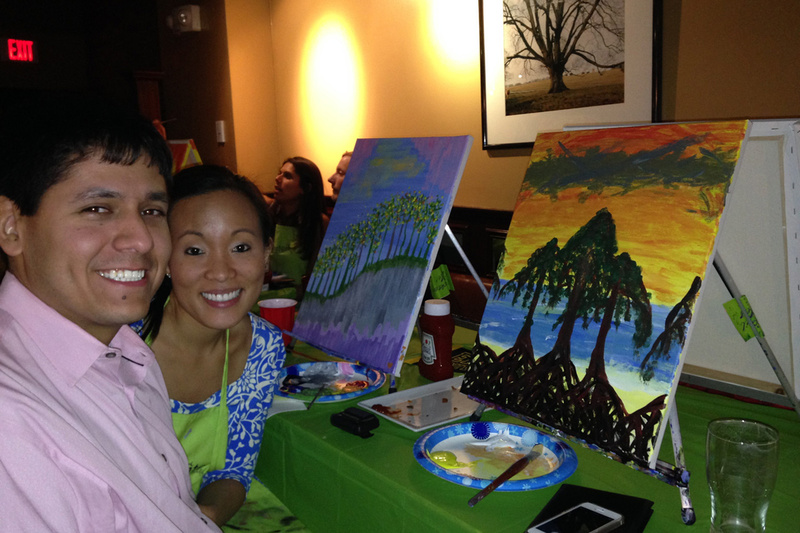 Artistic Expression: Emory alumni in Boston came together for Paint Nite on March 11. Pictued here are Hugo Aparicio 04C and his wife, Jennifer Shin Aparicio. Summer is a wonderful time to reflect on the memories of recent (or not so recent) Commencements on the Quad and to begin to envision a new year in the life of Emory. With the newly minted degree holders, the ranks of Emory alumni have topped 121,000, represented by chapters across the globe. The spirit of Emory lives in cities and towns through the extraordinary impact made by each of you in ways large and small. 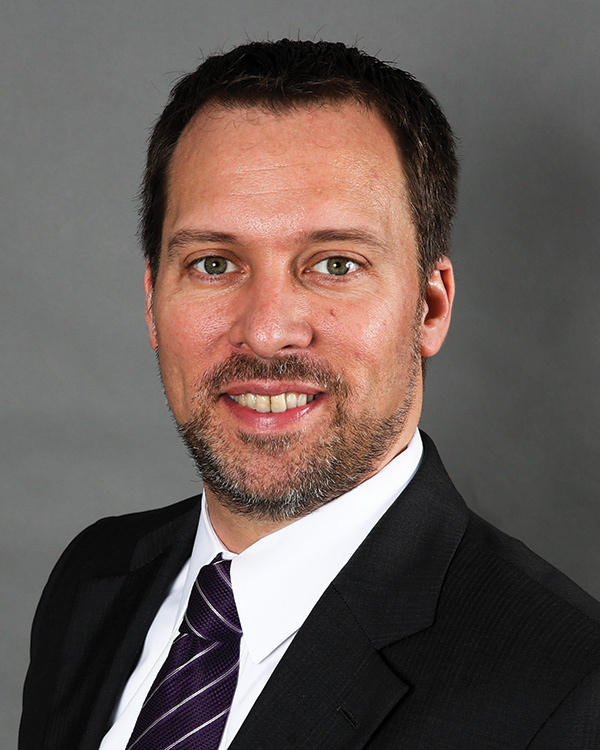 I’m honored to be the incoming 2014–2015 president of the Emory Alumni Board, and always happy to be a part of the Emory College Class of 1995. 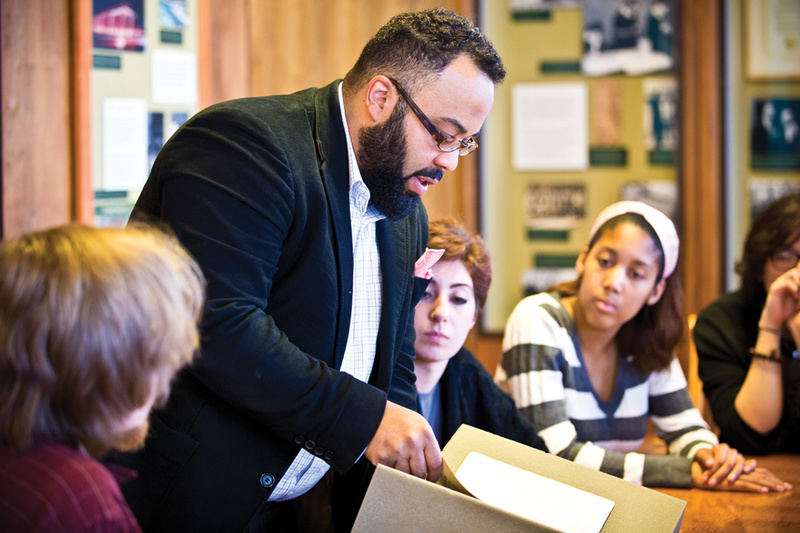 The Alumni Board continues to be the active voice of Emory alumni, providing leadership input to the administration and ongoing engagement with current Emory University staff and students. Each day my distinguished colleagues on the board and the Emory Alumni Association staff work to improve the Emory experience for every member of the Emory family. Whether you engage with Emory through your local alumni chapter, mentor students on career choices, interview prospective Emory students, volunteer locally, use Emory’s education-enrichment programs, or benefit from the exclusive services offered to Emory alumni, there is an ever-expanding array of ways to facilitate an active and ongoing connection to Emory and to your fellow alumni. I look forward to serving alongside each of you to enrich our ongoing Emory experience. August 21, 2014: Atlanta Young Alumni—”Who Was That Again? 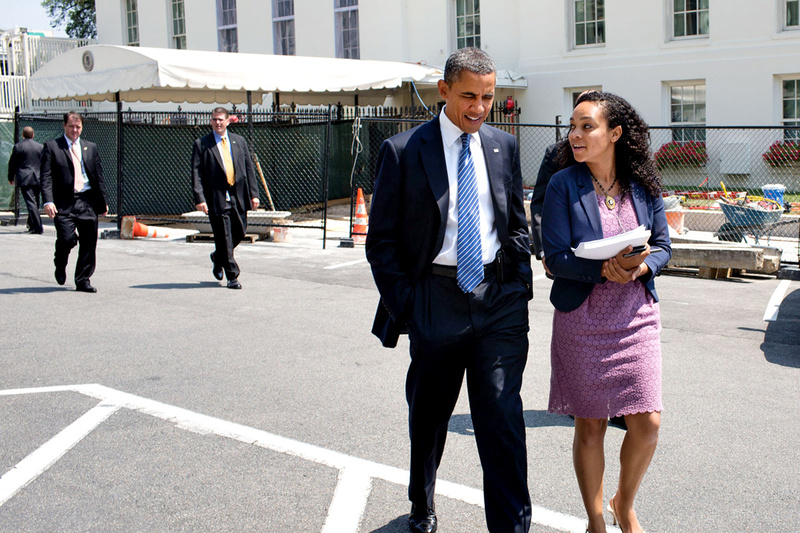 : Tips for Effective Networking,” Emory’s Miller-Ward Alumni House. 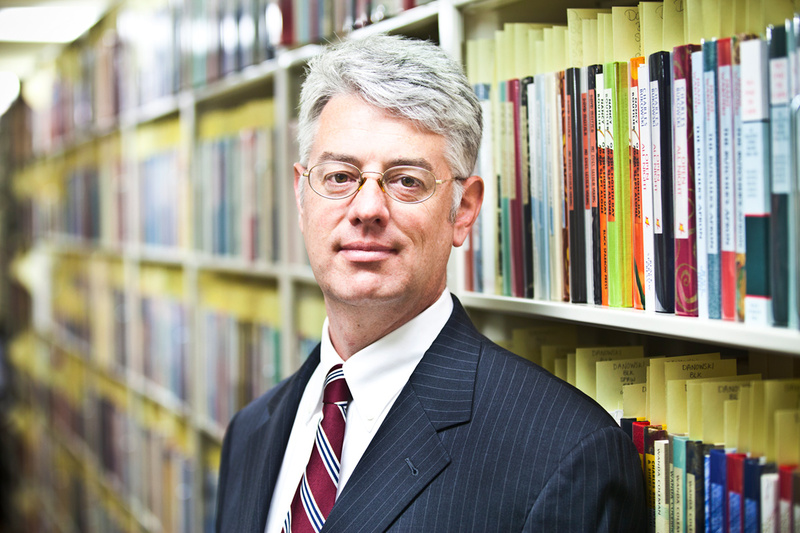 September 4, 2014: Exploring the Future of Atlanta—A conversation with Emory President James Wagner and CEO of the Center for Civil and Human Rights, Doug Shipman 95C. 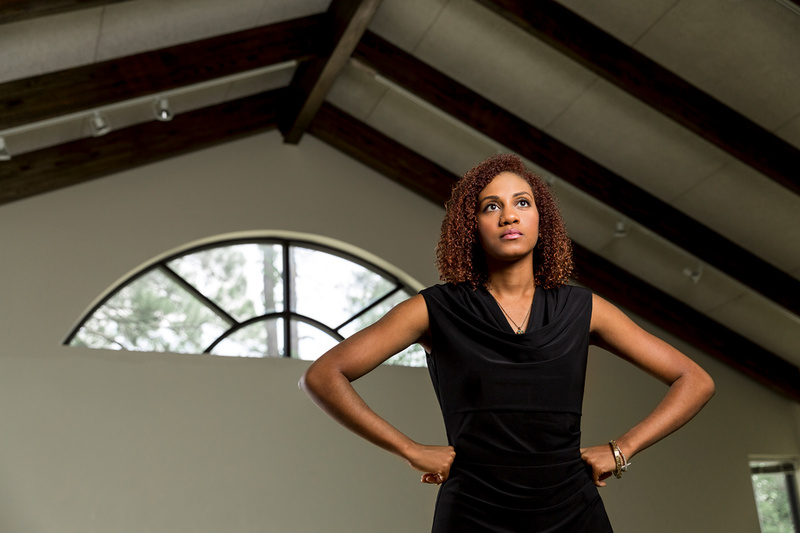 For more, visit Emory's Alumni Calendar.